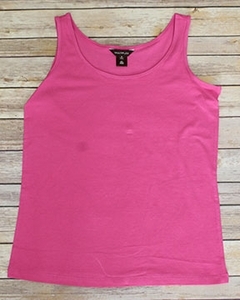 Multiples "South Beach" Punch Pink Scoop Neck Solid Tank. Fabric 47% Cotton & 6% Spandex. Machine Wash Delicate.